Rep. Klingenschmitt reaches the end of his song. You never know what you're going to get when you show up to the Colorado legislature. 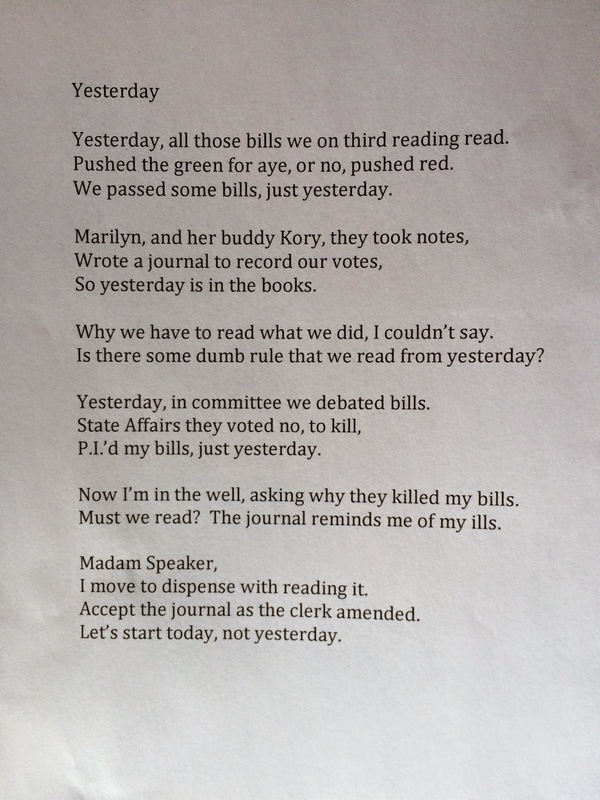 On a snowy February Thursday morning, business got underway in the state House of Representatives with an original song. 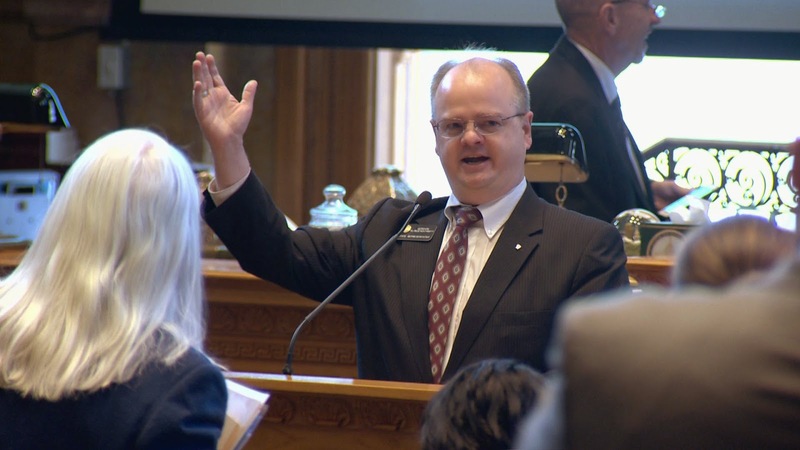 Rep. Gordon Klingenschmitt (R-Colorado Springs,) who arrived in the legislature as a polarizing figure, belted out a motion to start up business for the day to the tune of "Yesterday" by the Beatles. I must say Mr. Gordon is so poetic and creative. really enjoyed the lyrics and the way he has expressed his ideas and feelings in this poem. He is definitely one of his kind.